The highly respected HDW-F900 camcorder has now been refined into the next-generation HDW-F900R, offering a variety of further enhanced functionalities. The HDW-F900R camcorder records images in accordance with the CIF (Common Image Format) standard, which specifies a sampling structure of 1920 x 1080 active pixels (horizontal x vertical). Plus, as well as recording at 24P, the HDW-F900R camcorder is switchable to record at 25P, 29.97P progressive scan, and also at 50 or 59.94 Hz interlaced scan. The camcorder also provides a comprehensive range of features for creative shooting such as enhanced gamma features and colorimetry controls. Plus, the design of the HDW-F900R is highly compact and lightweight, giving users higher levels of mobility and comfort when shooting. To further enhance the creative and operational versatility of the camcorder, a wide range of optional accessories are available. These include a picture cache board and a 2-3 Pull-down and down converter board. 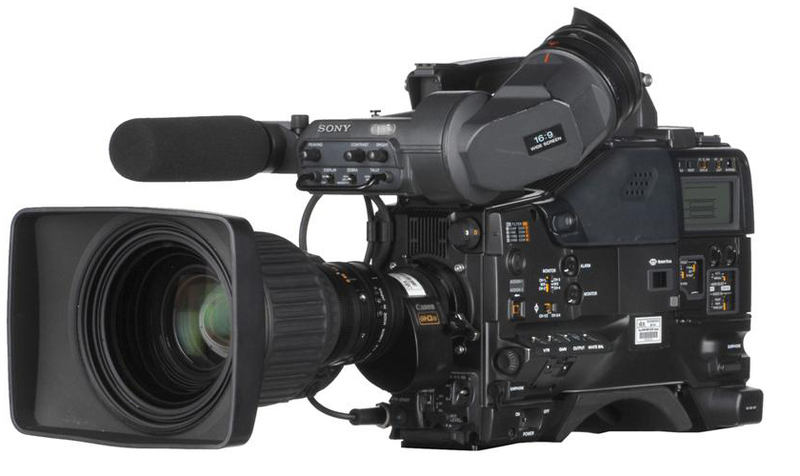 In combination with its renowned 24P capability and attractive cost efficiency, all of these great functionalities make the HDW-F900R the perfect solution for shooting television series , documentaries, commercials, as well as motion pictures.